Grand Canyon University will construct 10 athletic facilities in two years as part of its “GCU 10 in 2” initiative. The initiative began with the completion of the GCU Stadium soccer facility and will include nine other facilities to be completed by August 2018. 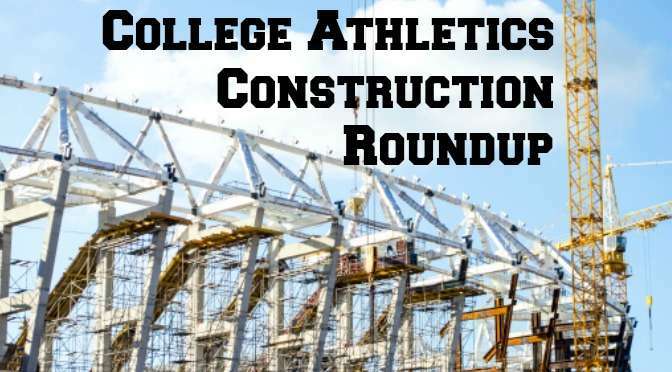 These other facilities include baseball and softball stadiums, a basketball practice facility, a tennis facility, a beach volleyball stadium, a golf course practice facility, an academic development center and a performance center. 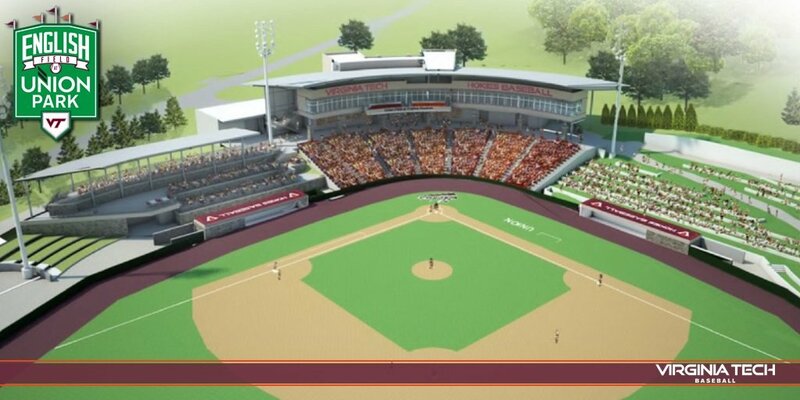 Virginia Tech has approved $36 million worth of improvements to several facilities. The main seating area at English Field will be reconstructed to bring capacity to 4,000 and a new press box tower will be constructed. A new hitting facility for the softball team will be constructed. Several improvements are scheduled for Rector Field House with the construction of an indoor throws area the most visible. Programs expected to benefit from these improvements are baseball, softball, track and field, lacrosse and soccer. Louisiana – Monroe opened its new $4.1 million field house in the north end zone of JPS Field at Malone Stadium. The almost 12,000 square-foot facility houses a new locker room, lounge area, coaches offices and a patio area overlooking the field. Montana has replaced the turf at Washington-Grizzly Stadium. The $478,000 project was completed in time for the team’s home opener. The school received approval to replace the turf one year early due to safety concerns raised by the old turf. West Virginia has completed renovations to the east and north side of Milan Puskar Stadium in time for the 2016 season. The project features updates concourses, concession areas, field boxes and entrances, and includes a new Legends Park on the north end of the stadium and a Legends Walk along the new concourses. Mountaineer Field was also overhauled to install new drainage and reduce the crown of the field. Renovations to the west side of the stadium are ongoing and are expected to be complete for the 2017 season. Colorado State held a topping-off ceremony for the new on-campus stadium. Construction of the $220 million, 41,000-capcity stadium remains on schedule and is expected to open for the 2017 season. Louisiana Tech announced plans for a new press box and guest suite facility at Joe Aillet Stadium. The $18.6 million project will begin immediately after the last game of the 2016 season with construction expected to be complete before the 2017 begins. The new facility will be 30,000 square-feet larger than the existing press box area. The project also includes updates to stadium lighting, west-side restrooms and stadium entry points. Directors of The Birmingham-Jefferson Convention Complex have been presented a master plan proposal that includes a new open-air stadium for UAB. The plan includes concepts for a $174 million, 55,000-seat stadium for use by the school and potentially ESPN for bowl games. Clemson continues work on its new football operations building. The $55 million, 140,000 square-foot facility features a 20,000 square-foot weight room, plunge pools inside the locker room, nutrition center, position meeting rooms and a nap room. The facility is expected to open in January 2017. Utah State has completed a $36 million renovation to Maverik Stadium. The project includes a new press box, additional suites and loge seating, a rebuilt concourse, new restrooms and two new video boards inside the stadium. Construction took 15 months to complete. Southern Mississippi unveiled the newly-renovated locker rooms. The $1.3 million, eight-month project increased the space of the locker room while adding new lockers and custom graphics. Houston will begin construction of a new Indoor Practice Facility after the 2016 season, with completion expected before the 2017 season. The $20 million facility will feature a 120-yard synthetic field and football-only sports performance area. 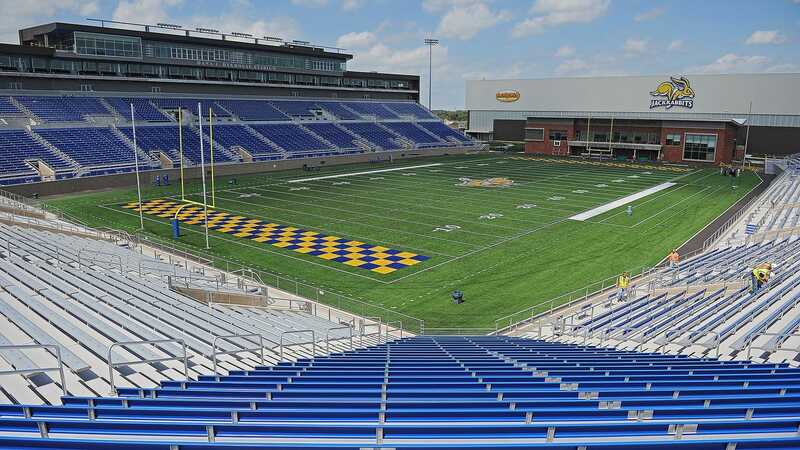 South Dakota State unveiled its new Dana J. Dykhouse Stadium. The $65 million facility was built in the footprint of the old Coughlin-Alumni Stadium. The stadium features capacity for almost 20,000, a video board and suite and loge premium seating. Oregon State announced plans to renovate Gill Coliseum prior to the 2016-2017 season. The project will focus on installing a new sound system, replacing seats in the lower bowl, restroom renovations, and relocating the primary television camera. Wofford continues construction on the Jerry Richardson Indoor Stadium. The facility will be home to the school’s basketball and volleyball programs and will feature locker rooms, a training area, meeting rooms and office space. Capacity for the basketball arena will be 3,400 seats, with an expanded capacity of 4,500 for concerts and non-athletic school functions. South Carolina will install a new court featuring a new logo at the Colonial Life Arena. The old court had been sanded several times and had dead spots on it. The school confirmed it will remove the ‘bridge’ logo stretching between the 3-point lines and simply go with the Block C.
San Jose State will build a new Track & Field stadium at Bud Winter Field. The $5 million facility will serve host to the women’s program, as well as the men’s program when it is restored in 2018. Bucknell opened its new $12 million Graham Building. The first floor houses student health, wellness and counseling areas. The second floor feature a wrestling-only training center featuring a 50’ x 100’ mat room with video capabilities and bleacher seating, a strength and conditioning area, locker rooms and a treatment room. The University of Wisconsin – Green Bay received approval for a new soccer complex. The $5 million facility will have a turf field with lights and a press box. The new complex is expected to be complete for the 2018 season. UCF will spend $3 million on enhancements to the UCF Baseball Complex, transforming it into John Euliano Park. Much of the project will focus on a new home plate tower featuring a premium club section with outdoor seating and indoor amenities. Clubhouse enhancements, a new audio system and shaded bleacher seating will also be included. The complex will open for the 2018 season. Dayton will build a new practice facility for its men’s and women’s soccer programs. The facility will feature separate fields for the two programs and covered benches and seating for protection from the elements. Kent State is nearing completion of its new Athletic Training and Education Center. The two-floor, 10,000 square-foot facility will feature three therapy pools, a cryotherapy unit, state-of-the-art training room, exam rooms and an x-ray space. University of the Pacific announced plans to build the Janssen-Lagorio Performance Center. The $1.45 million project will provide student-athletes with an expanded weight room and ‘fuel station’. 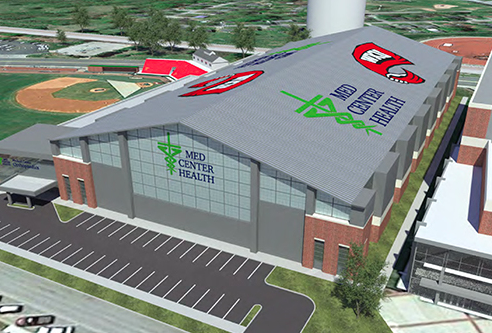 Western Kentucky announced a partnership with Med Center Health to build a $22 million sports medicine complex. The facility features an 83,000 square-foot indoor rehab and training facility. It will house a full-size football practice field, sprint lanes, netting for baseball and softball and track & field practice areas. The complex will additionally feature a two-story building: the first story includes Med Center Health’s sports medicine practice and the second story will house WKU’s Doctor of Physical Therapy Program. Construction is slated to begin in January 2017.